Class Dates: 2/14, 2/28, 3/14, 3/28, 4/11, 4/25, 5/9 and 5/16. Please note that the class occurs every two weeks, except one week between the last two classes. Class time: Optional sitting 6:30-7pm. Class from 7:15– 8:45pm. This eight-week class will offer physical practices which support the upright sitting posture of zazen. They will be presented in relationship to the Pāramitās, a basic Mahāyāna Buddhist teaching. Each class will offer one hour of experiential and preparatory physical practices, followed by 30 minutes of discussion. A 30-minute period of zazen (from 6:30-7pm) precedes each session and is open to all. This class will be offered in alternation with Greg Snyder’s Following the Spring Wind: Training in the Six Pāramitās class. Please wear comfortable clothing and bring a yoga mat to each class, if you have one. To register, please click here. Please note that registration for this class closes Thursday, February 14 at 11:59PM. 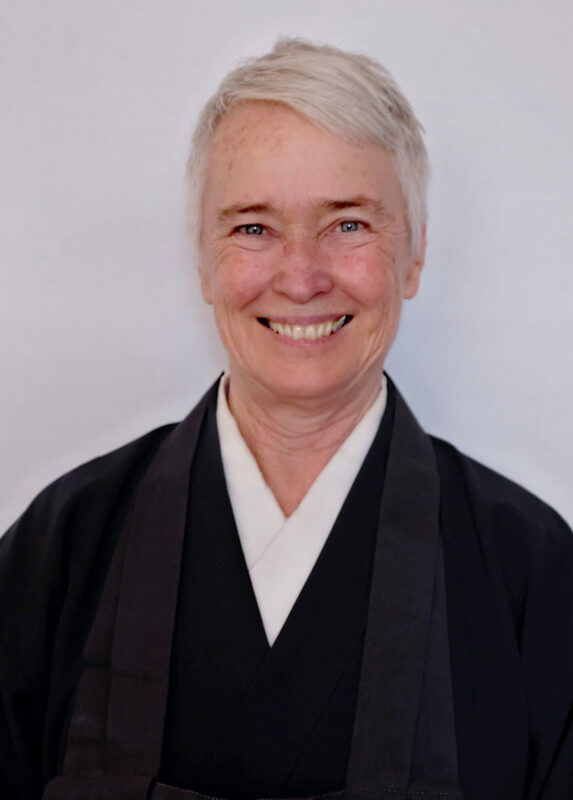 Shokuchi Deirdre Carrigan is Tanto (Head of Practice) at Brooklyn Zen Center. Shokuchi received training in Soto Zen practice as a resident of San Francisco Zen Center for 12 years, was ordained as a priest in the Shunryu Suzuki lineage by Tenshin Reb Anderson in 2010, and was Shuso (head monk) with Abbess Eijun Linda Cutts in 2014 at San Francisco Zen Center/Green Gulch Farm. She has been teaching yoga in the San Francisco Bay Area since 1988, as well as co-leading Zen and Yoga retreats at Tassajara and Green Gulch Farm since 2002.